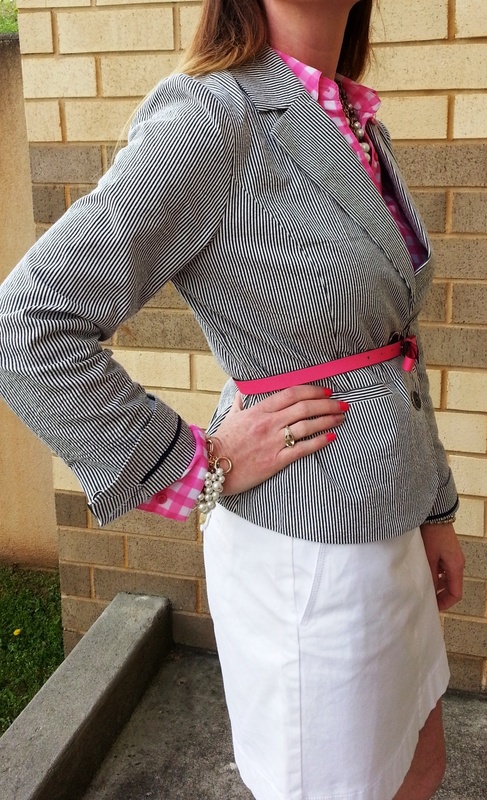 Spring Mixing – Plaid and Stripes! Happy Friday! Hope everyone is having a great day! Just a quick share of my Outfit of the Day! Keeping with the Spring theme, I’ve been happily dusting off some of my spring favorites which have recently emerged from a long stay in my closet. I think I speak for a lot of people when I say it’s been a LONG winter and I never thought I’d be so happy to put my tights away (but I’m ecstatic to do so!). I normally don’t struggle with outfit prep but this one gave me some trouble. 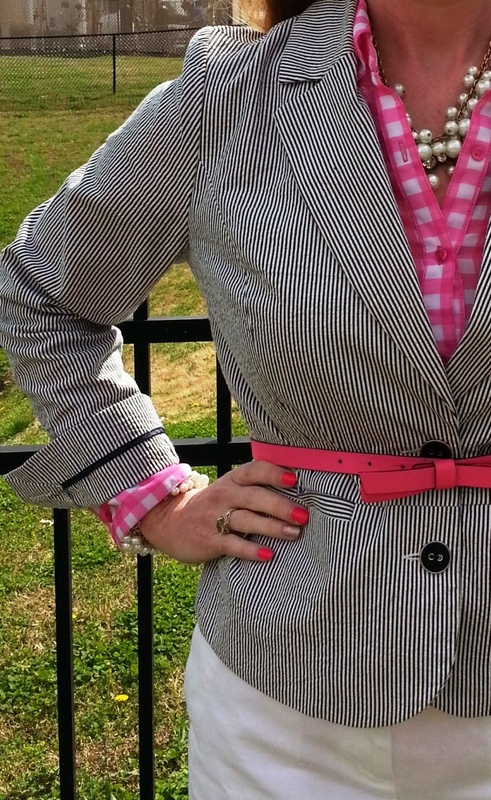 I was determined to make this striped jacket and plaid blouse work and I think it does. 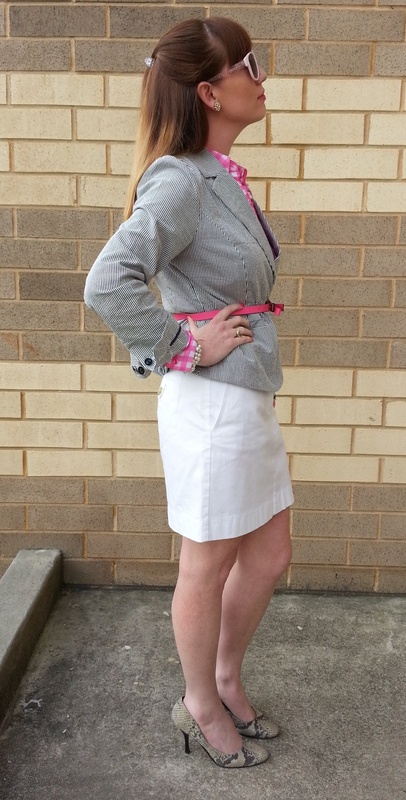 Don’t be afraid to mix patterns or diagonals as the right combination can add depth and dimension to your outfit! The belt was the piece that literally and figuratively pulled the jacket and blouse together. It served as the focal point for the outfit. I also really wanted to wear slacks to balance out the boxy jacket but alas…the pants just would not work and the proportions were off. Thank goodness this JCREW skirt saved the outfit! I honestly went through 1, 2, 3, 4, 5 – yes, FIVE outfit changes before I got this one right. I think my persistence (or is it stubbornness) paid off though and I was able to pull it together! « Wearing an Orange Poppy Print…today on Cortneybre!